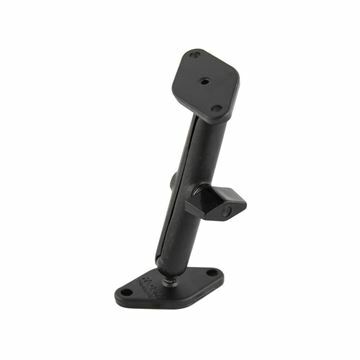 Mount your devices to almost any surface with RAM Mount Bases. 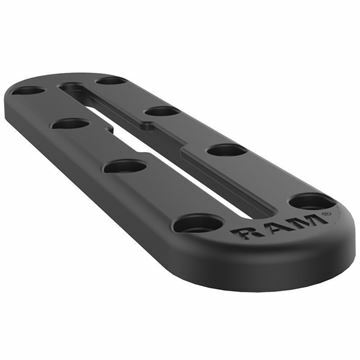 From universal to device-specific and bespoke designs, we have a wide variety of RAM Mount Base options to choose from for your phone, GPS, camera, tablet and more. 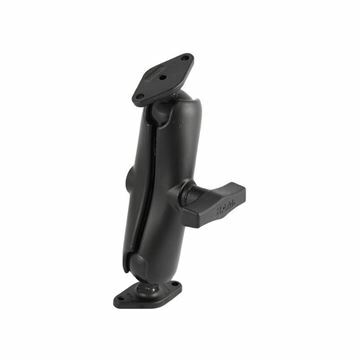 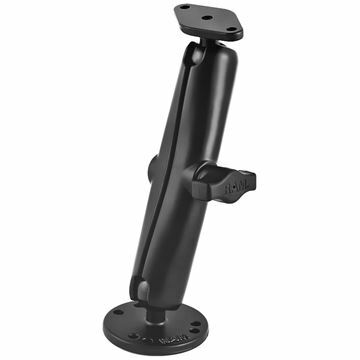 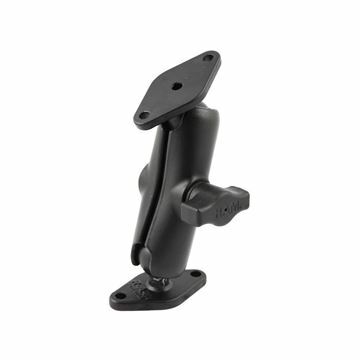 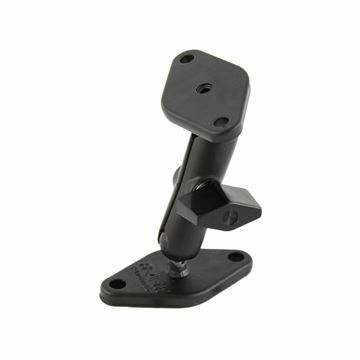 RAM Mounts offer lightweight and simple base designs meaning you can easily adjust your mount positioning on the go. 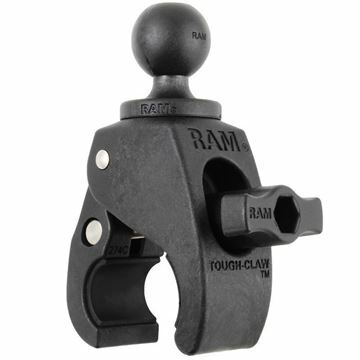 The RAM Mount Bases have been manufactured using high-quality materials and components to withstand Australia’s toughest conditions. 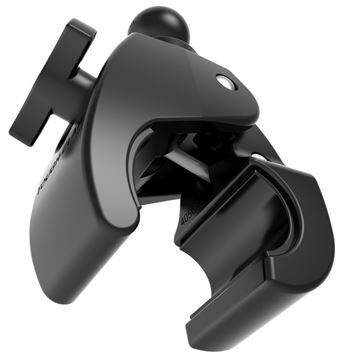 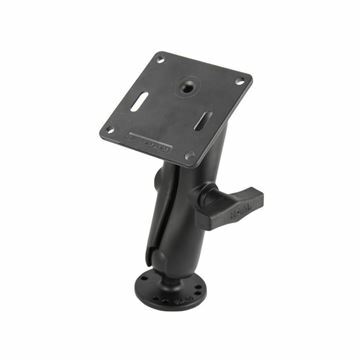 Don’t see a mounting base solution that matches your device or application? 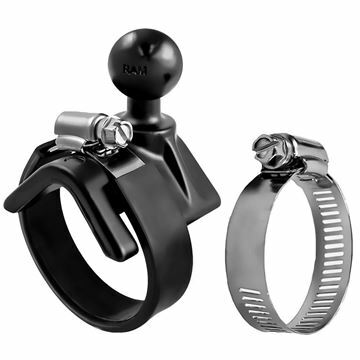 Contact REDARC today to discuss a customised alternative to suit your needs. 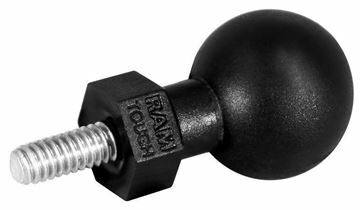 The RAM-236U 1.5" Rubber Ball features a 3/8-16" marine grade aluminium thread. 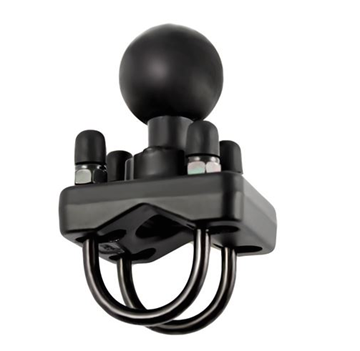 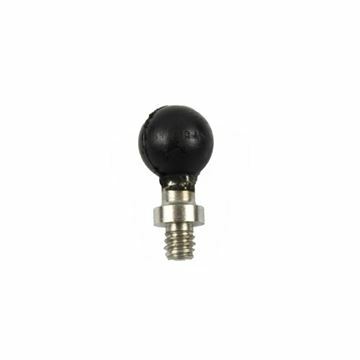 The RAM-B-236U 1" Ball with 3/8"-16 Threaded Post has a 1" rubber ball that can attch to all 1" ball compatible arms, connected to a 3/8"-16 threaded post. 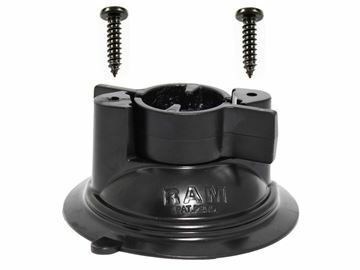 The RAM-B-101U-A 1" Ball 2.38" Arm 2x2.5" Round Bases is designed with two adjustable 2.5" round base ball mounts with the AMPS hole pattern on a short arm. 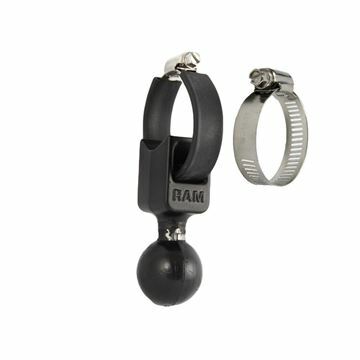 The RAM-B-102U-A 1" Ball 2.38" Arm 2x Diamond Base is designed with two adjustable 1" diamond base ball mounts with a hole pattern suitable for many RAM cradles. 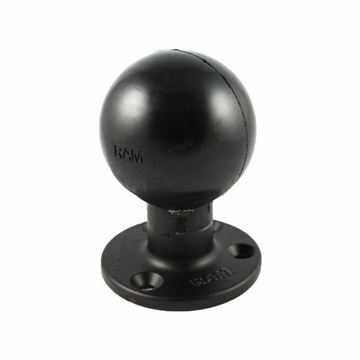 The RAM-B-101U 1" Ball 3.69" Arm 2x2.5" Round Bases has two 2.5" round bases with AMPS hole pattern on a medium length double socket arm. 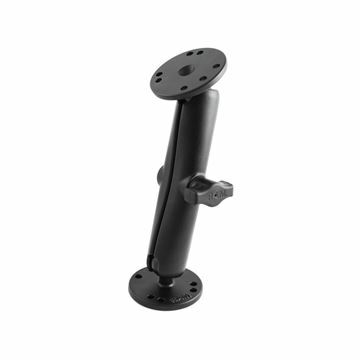 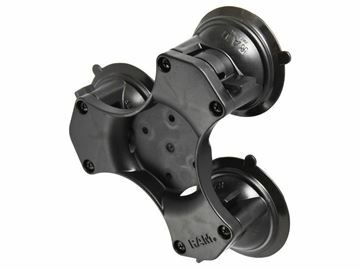 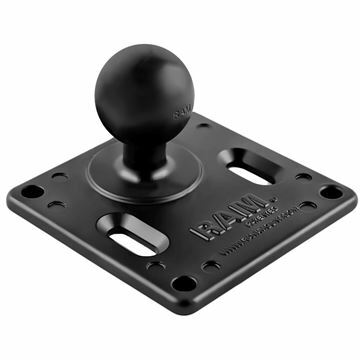 The RAM-B-102U-C 1" Ball 6" Arm 2x Diamond Base has two 2.4" diamond bases with a hole pattern suitable for many RAM cradles on a long double socket arm. 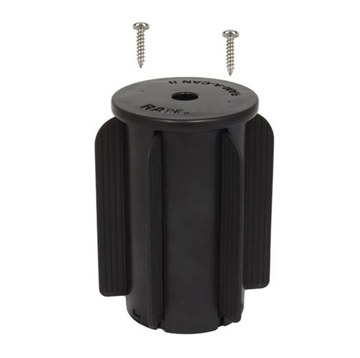 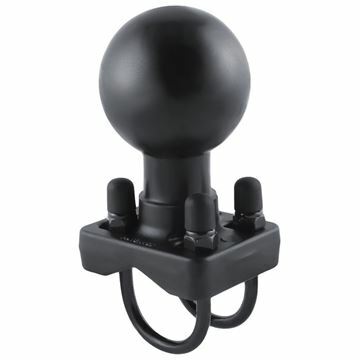 The RAP-B-379U-252025 1" Tough-Ball with 1/4"-20 x .25" Post has a 1" rubber ball that will connect to 1" RAM sockets, and has a 1/4"-20X.25" male threaded post. 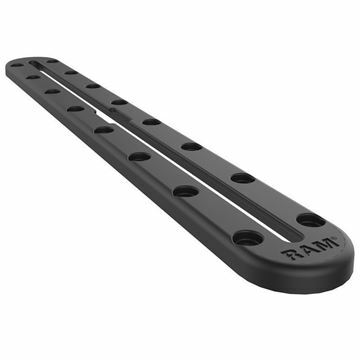 The RAM-108BU 1.5" Ball Base with Strap connects to any rail from 1" to 2.1" diameter and is compatible with 1.5" RAM Double Socket Arms. 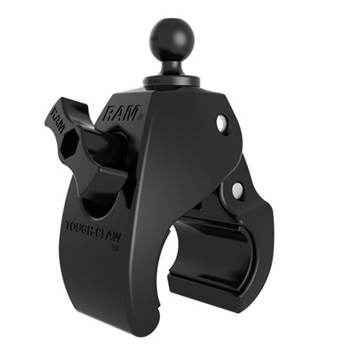 The RAM-102U-D 1.5" Ball 9" Arm 2x Diamond Base is designed with two adjustable 2.4" diamond base ball mounts with a hole pattern suitable for many RAM cradles. 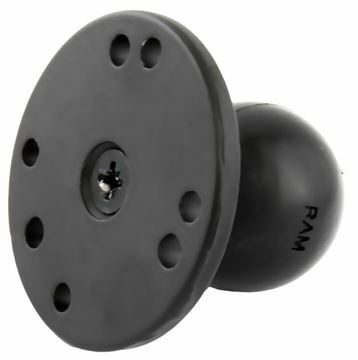 The RAM-238U 2.43"x1.31" Base with 1.5" Ball has one 1.5" diameter ball attached to a 2.4" diamond base with holes that match the AMPS hole pattern. 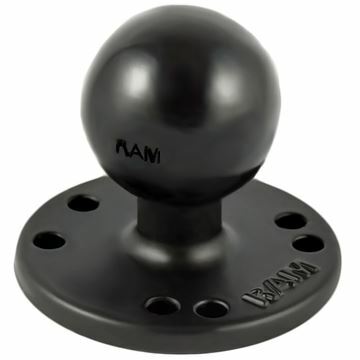 The RAM-202U 2.5" Base with AMPs Hole Pattern & 1.5" Ball features a 1.5" rubber ball attached to a flat 2.5" diameter round base with AMPS hole pattern. 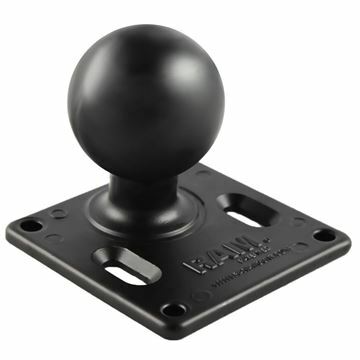 The RAM-D-246U 4.75" Square VESA Base with 2.25" Ball features a 2.25" rubber ball attached off-centre onto a 4.75" square base with VESA hole pattern. 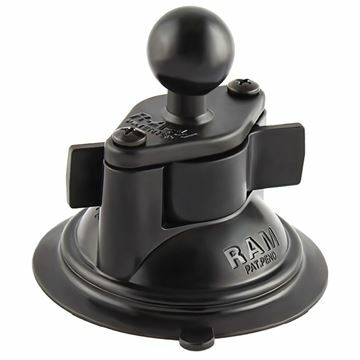 The RAM-B-111BU 6.25" Rectangle Base with 1" Ball features a 1" rubber ball attached onto a 6.25" x 2" base with AMPS hole pattern. 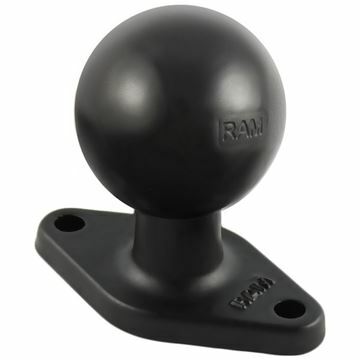 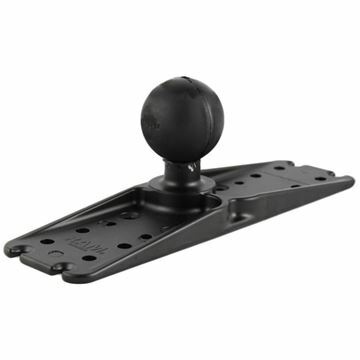 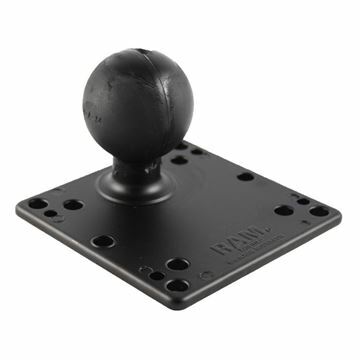 The RAM-111BU 6.25" Universal Base with 1.5" Ball features a 1.5" rubber ball attached to a 6.25" x 2" base with universal drill pattern to suit most mounts and electronics. 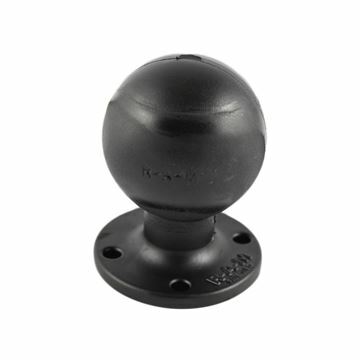 The RAM-2461U 75x75mm VESA 3.625" Plate with 1.5" Ball features a 1.5" rubber ball attached off-centre to a 3.6" square base with 75mm x 75mm VESA hole pattern. 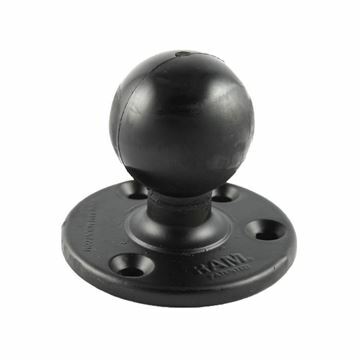 The RAM-D-111BU Base 11x3" with 2.25" Ball features a 2.25" rubber ball attached to a 11" x 3" base with universal drill holes to fit most devices. 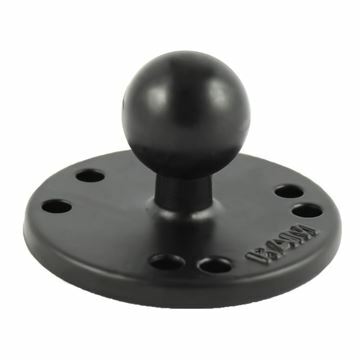 The RAM-E-111BU Base 11x3" with 3.38" Ball features a 3.38" rubber ball attached to a 11" x 3" base with universal drill holes to fit most devices. 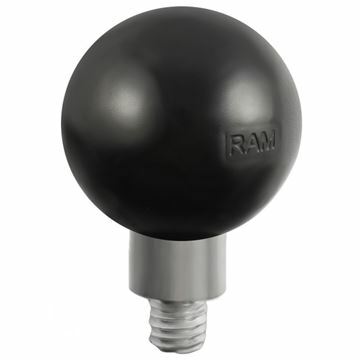 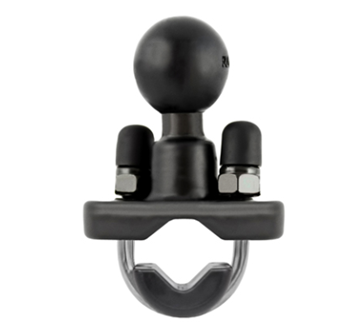 The RAM-D-235U Double U-Bolt Base with 2.25" ball features a 2.25" rubber ball with a stainless steel double u-bolt which can connect to rails from 0.75" to 1.25". 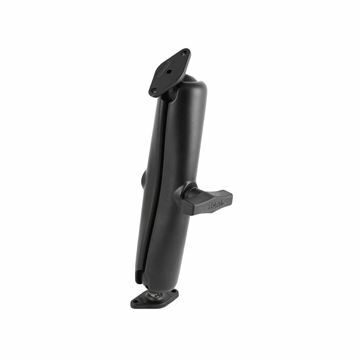 The RAM-B-342U Motorcycle Fork Stem Base with 1" Ball can be used to mount your mobile phone or other device to your motorbike and fit into the cylindrical wall of 0.5" to 1.29" fork stems. 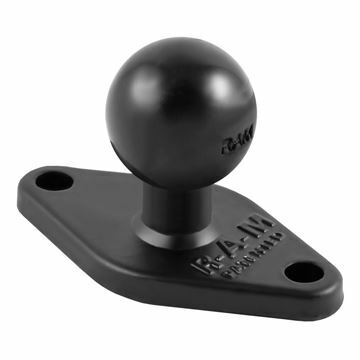 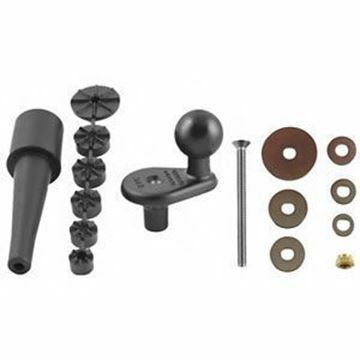 The RAM-B-231ZU Rail Base with U-Bolt & 1" Ball features a 1" rubber ball with a zinc coated u-bolt which can connect to rails from 0.5" to 1.25". 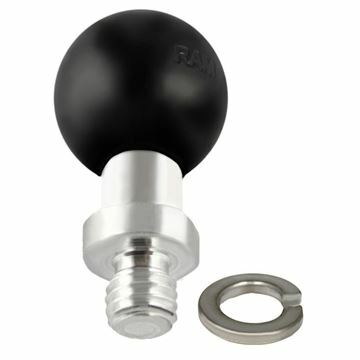 The RAM-B-231U Rail Base with Stainless Steel U-Bolt & 1" Ball features a 1" rubber ball with a stainless steel double u-bolt which can connect to rails from 0.5" to 1". 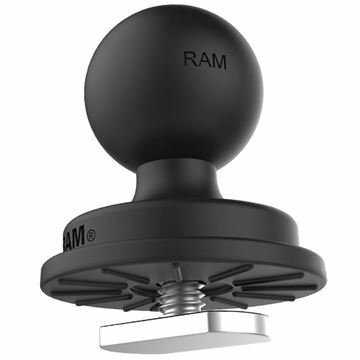 The RAM-B-166-202U Twist-Lock Suction Cup features one 3.3" suction cup with twist lock and one round base with AMPS hole pattern. 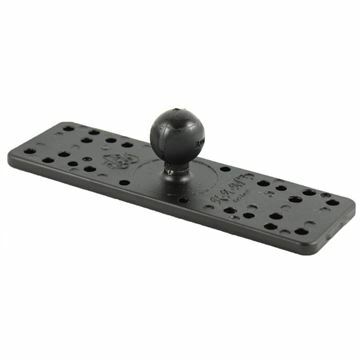 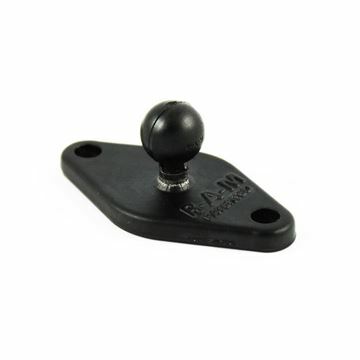 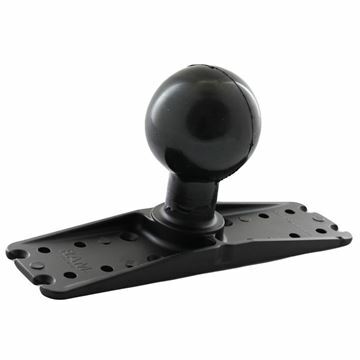 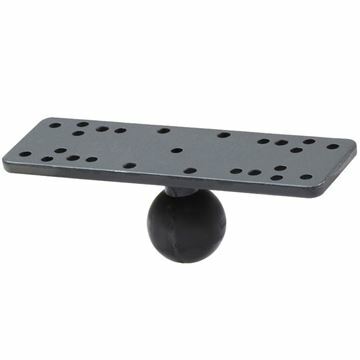 The RAM-B-108BU V-Shape Base with 1" Ball for Rails & Yokes features a 1" rubber ball connected to a v-shaped base and can attach to rails and yokes from 1" to 2.1". 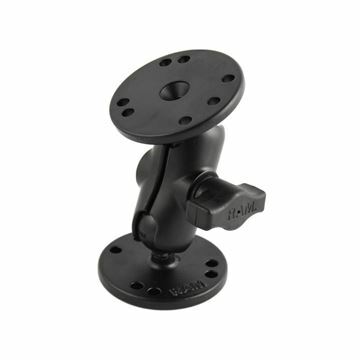 The RAP-299-3-B-102U RAM-A-CAN II Universal Cup Mount with Double Socket Mount slides perfectly into your car cup holder and has a 2.4" diamond base which connects with many cradles. 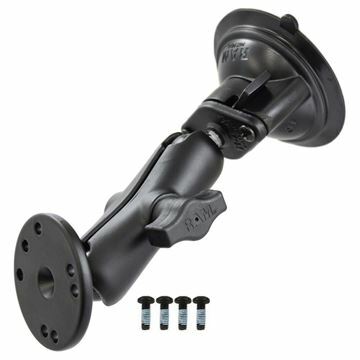 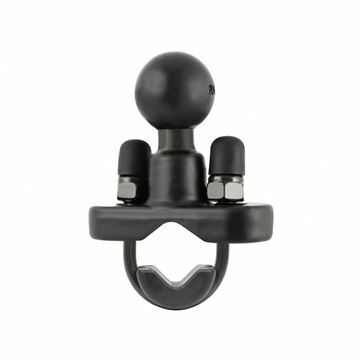 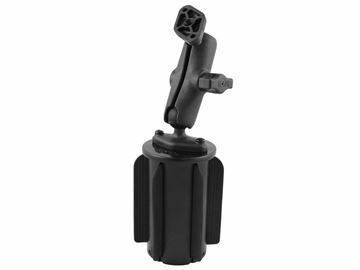 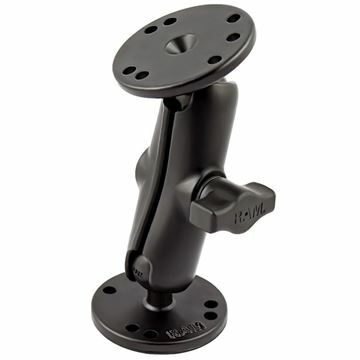 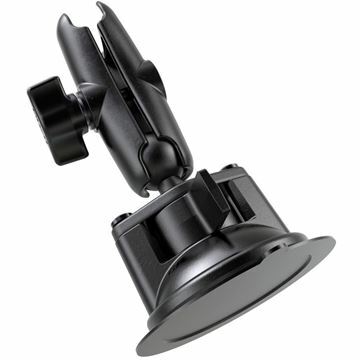 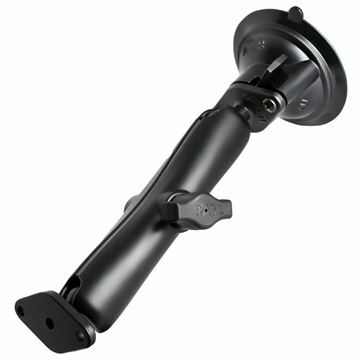 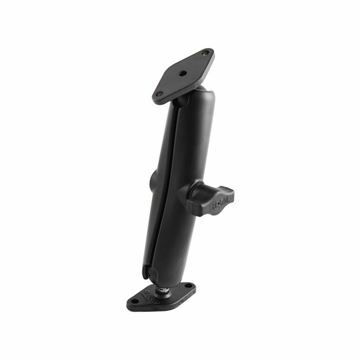 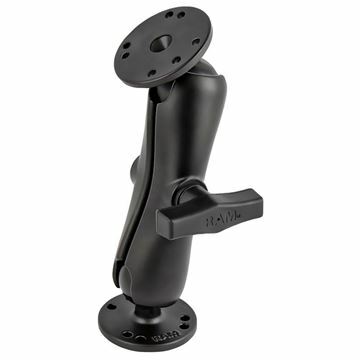 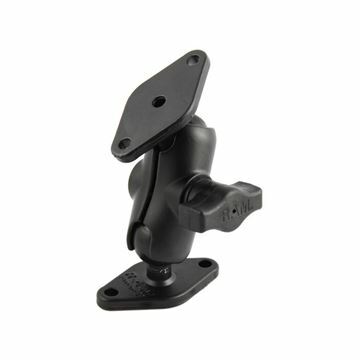 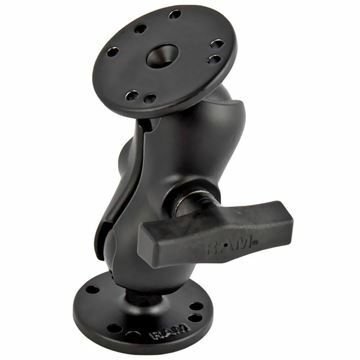 The RAP-224-1U Suction Cup Base w/ Twist Lock features a 3.3" suction cup with twist lock and can be attached to a mount or arm with a diamond base.